Ben Turpin Custom Rods specializes in the building of custom rods designed for fishing the streams you fish with the quality and aesthetics you desire. Rod Blank and components are chosen for optimum performance and style. 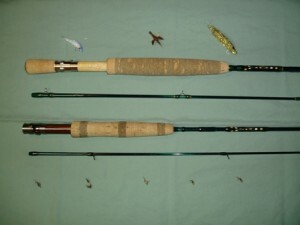 All custom rods come with an aluminum rod tube and protective sock. Rods are built on the customers blank of choice. If you are undecided on a blank for your next rod I can help by analyzing your casting stroke and the fishing situations where you plan on using the rod. 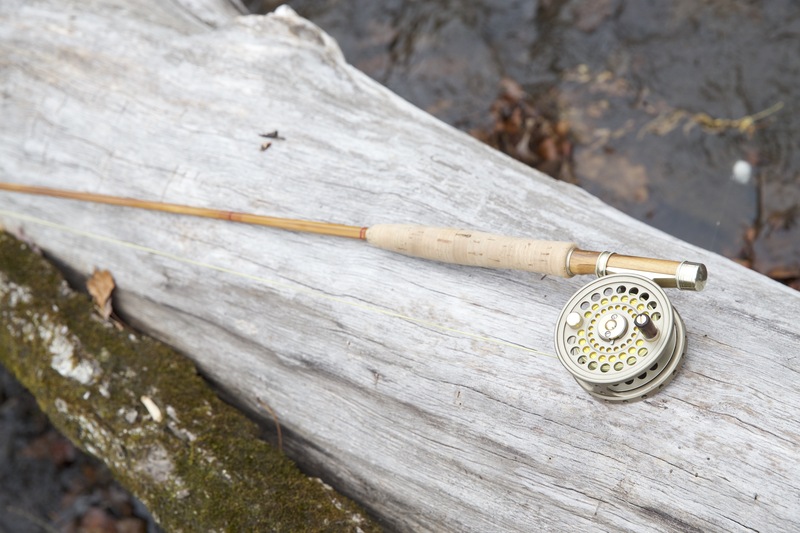 Fly fishing is like golf, you need different clubs for a variety of situations. After you decide on a blank, I can track one down for you. Reel seats can come from a mix of companies these days and I recommend using seats from Pacific Bay, Arcane Components, Bellinger or REC. These seats give you a choice of beautiful wood inserts and have quality nickel silver or aluminun skeletons. Custom grips can be fit to hand when ordered and your choice of cork or burl cork combinations are shaped right in the shop. There is a large variety of stripper and snake guides to choose from as well. I use high quality Pacific Bay single foot and standard snake guides as well as SIC strippers in many finishes. For that extra special touch, try adding an Agate stripper from Arcane Components. 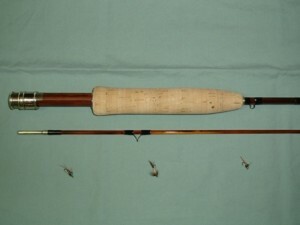 Custom art work and feather inlays can also be applied to the rod for an additional fee. Prices will be determined by the blank and components selected. Prices start at $250.00. Blanks are covered by manufacturers guarantee and rods are warranteed against defects in craftsmanship.